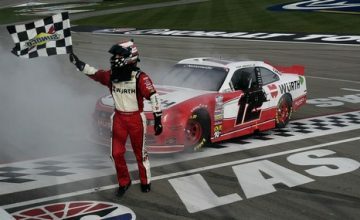 After Chip Ganassi Racing went 1-2-3 on the charts Monday, their Chevrolet-powered arch rival Team Penske, who barely turned a wheel on the lid lifting day of practice, made its own statement on the second day of action at the Indianapolis Motor Speedway on Tuesday. 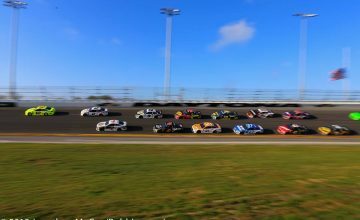 Drier, cooler, yet more windy conditions greeted teams and drivers on day number two, however the conditions allowed for top speeds to jump almost two miles per hour faster than the previous day. 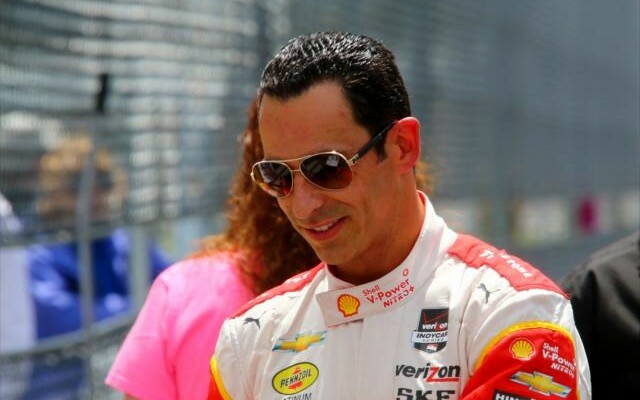 Three-time Indianapolis 500-mile race winner Helio Castroneves was quickest, topping the charts at 227.514 MPH whilst also posting the fastest lap without the aid of a draft from another car at over 225.1 MPH. The speeds posted by the four-time Indy 500 pole sitter are impressive, considering that most teams have yet to begin seriously trimming out the cars in advance of time trials on Saturday and Sunday. The majority of trim outs will begin on Thursday and move into Friday when teams will be allowed to increase their turbo boost pressure for qualifying. Behind Castroneves, teammate Simon Pagenaud was second best also exceeding the 227 MPH mark on Tuesday. The Frenchmen was one of the busiest driving on the 2.5 mile oval, running 92 laps. Chip Ganassi Racing’s top driver Tuesday was Scott Dixon who was the best of the rest among the bow tie brigade members in P3, followed by the first Honda on the board in Andretti Autosport’s Justin Wilson. The biggest surprise on Tuesday was the impressive form shown by Indy-only specialist Townsend Bell, who is spending this month with Dreyer & Reinbold-Kingdom Racing. The NBC Sports Network IndyCar TV commentator rounded out the first five at over 226.5 MPH. Bell qualified a career best fourth at Indy in 2011, but was only able to manage the 25th starting spot in last year’s race. After showing decent pace in the open test on May 3rd and on Monday, Honda seemed to appear outclassed by their Chevrolet counterparts on Tuesday, much as they have been in the five previous road/street circuit events so far in 2015. Only Andretti Autosport’s Wilson along with teammates Carlos Munoz and Marco Andretti were able to post speeds among the top ten. While three of the Andretti drivers managed decent days on Tuesday, the second day of practice was far from pleasent for Simona de Silvestro, whose car caught fire during practice on the backstrectch. The Swiss-based pilot managed to pull her No. 29 TE Energy Honda off the course and quickly exited the car without suffering injuries. De Silvestro was less fortunate here four years ago, when her car also caught fire following a crash in which the car got airborne and flipped over. She suffered burns to both of her hands in that incident, but still was able to qualify safely just two days later. Fast forward to 2015 and the fire practically burned her car to the ground, meaning a backup machine will have to be prepared before she is able to return to the track this week. Among the 34 entries in Gasoline Alley, 33 took to the track in some form on Tuesday. James Davison was officially introduced as the third driver for Dale Coyne Racing and completed 15 laps prior to the track closing for the day. Alex Tagliani also made a late appearance to shake down his entry for AJ Foyt Racing, while Buddy Lazier will not join his rivals until Thursday, due to agreeing to a shorter engine lease deal with Chevrolet in order to save money.